Through intensive fellowship programs, workshops, and classes, SSE helps promising community innovators and emerging visionaries become the best leaders they can be. SSE Ontario is a community of grassroots leaders from all walks of life collaborating to advance social and environmental change, leveraging the tools of business. Our community treasures systems change beyond the cosmetic; welcomes complexity; and strives for continuous learning and improvement. SSE fellows do not “graduate”; they simply enter a lifelong community of social change allies. But what if there were a place that could bring community dreamers together—and with just a little nudging and support—help them discover their talents and skills to make their breakthrough ideas a reality? 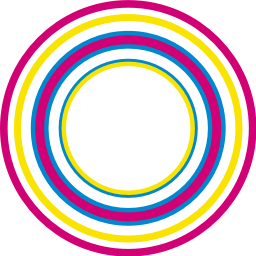 Founded in 1997 in London, England, the School for Social Entrepreneurs (SSE) was created to assist everyday people in launching a social purpose business, non-profit organization, cooperative, or social venture for the benefit of their community. SSE came to Canada in 2012, making it one of the newest members of a thriving international network of SSE schools worldwide. 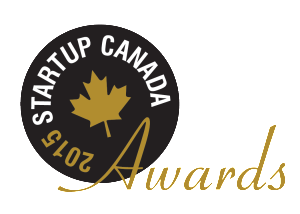 In 2015, SSE was recognized by Startup Canada for “Best Support to Entrepreneurs in Ontario”. Using an alternative classroom format honed over 20+ years, SSE helps students connect deeply to themselves and others, and to let go of the false beliefs that have prevented them from following their dreams. Read some of our testimonials here. We prioritize students’ individual growth within the context of their projects, and connect them to a network of mentors, experts, accomplished entrepreneurs, and social investors. Based on the journeys of thousands of SSE fellows worldwide, we know that when everyday people rise to the challenges of our day, they transform the communities around them. As SSE develops in Canada, we will continue unleashing tremendous people power for a more beautiful world today. A socially just, environmentally sustainable, and economically prosperous Canada, one built upon resilient communities able to direct their futures. To empower communities by developing community leaders and transformational social ventures that produce tangible, visible, meaningful, and positive impact. SSE was founded in Canada by a collaborative steering committee of SiG@MaRS, ACCESS Community Capital Fund, Housing Services Corporation, and the Toronto Centre for Community Learning and Development. Today, SSE is a project on Tides Canada’s shared platform, which supports on-the-ground efforts to create uncommon solutions for the common good. Tides Canada is a national Canadian charity dedicated to a healthy environment, social equity, and economic prosperity. Tides Canada’s shared platform provides governance, human resources, financial, and grant management for leading environmental and social projects across Canada, allowing projects to more effectively achieve their missions. Tides Canada has full fiduciary and governance responsibility for the School for Social Entrepreneurs in Canada. SSE is committed to principles of dignity, independence, integration, and equal opportunity. For more information please see Tides Canada’s Accessibility Policy and Plan.